Who doesn´t love rainbows? 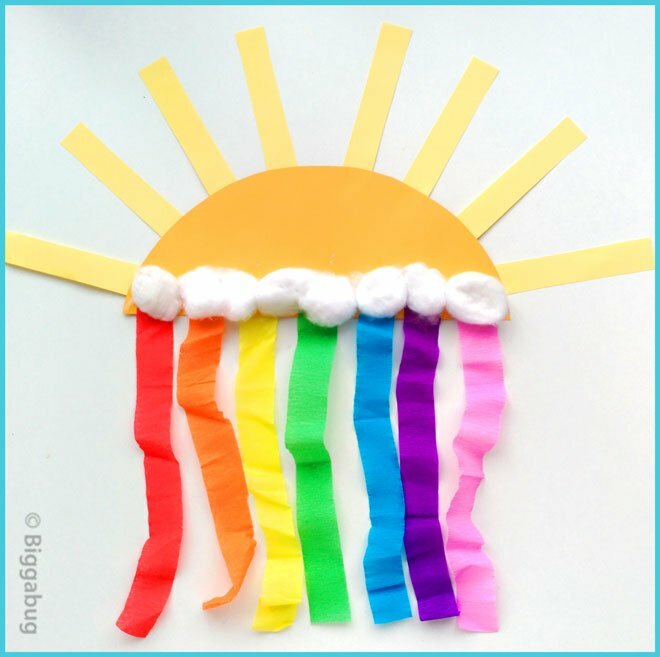 Your child will enjoy making this simple, colourful craft to hang in their room, on their door, or just to run around with and make the rainbow streamers fly! Make a theme of it by watching our Colours of the Rainbow song video to really get into the rainbow spirit! Crepe paper in red, orange, yellow, green, blue, purple and pink. 1. Take the piece of A4 or letter card and draw a semicircle shape which measures the entire width of the sheet (21-22cm) and has a height of about 10cm. Alternatively, use the template provided (see download link at end of post). 2. Cut about 8 strips of yellow or orange card or paper measuring 11 cm x 2 cm for the sunrays. 3. 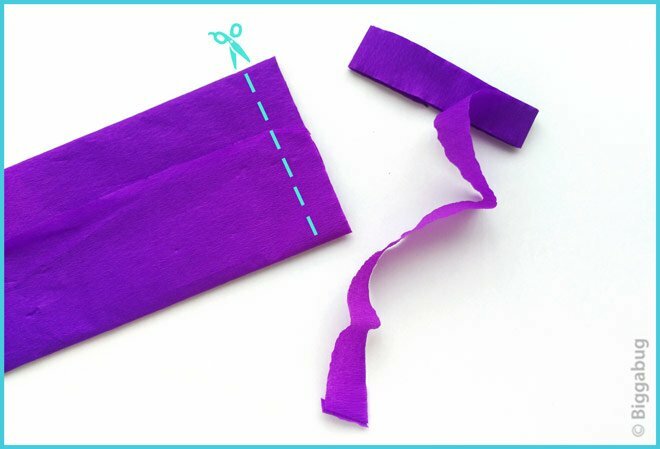 Cut strips of crepe paper about 2.5cm wide and as long as you want. Ours were about 25cm long. I cut the crepe paper while it´s still folded from out of the packet. This gives me very long strips that I then cut into shorter ones. 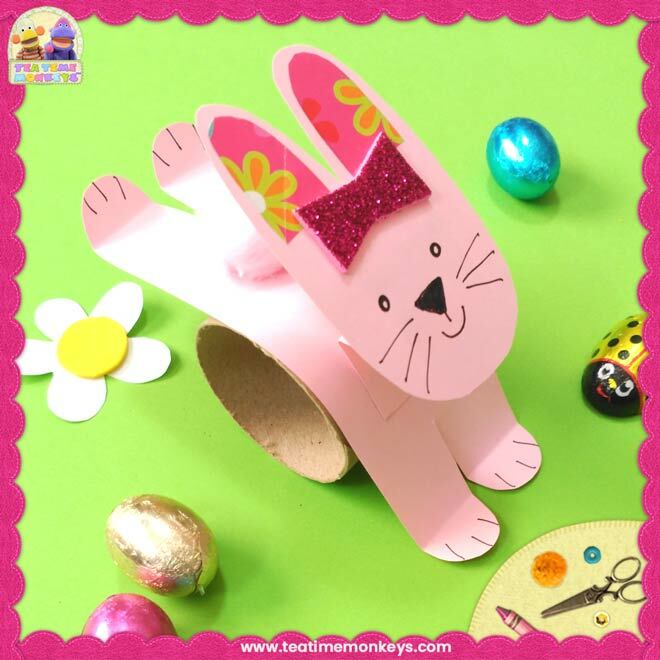 I use crepe paper streamers in a lot of crafts with a lot of kids, so this is an easy way to make a lot very quickly. 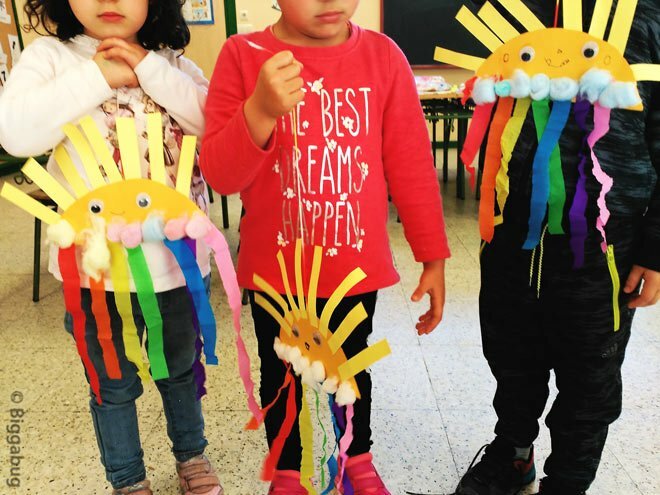 But whatever your situation, they´re always great to have on hand for crafts. 4. 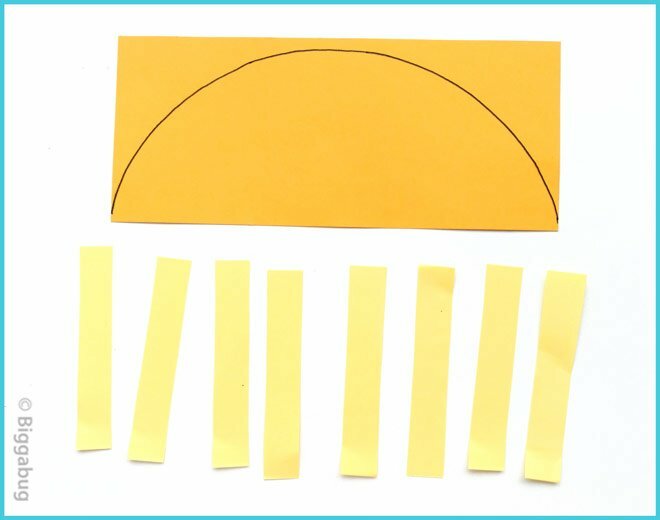 Stick the yellow (or orange) paper strips to the top part of the semicircle to make the sun rays. Some of my kids gave their suns "hairstyles" with the paper strips, and they looked fantastic! 6. 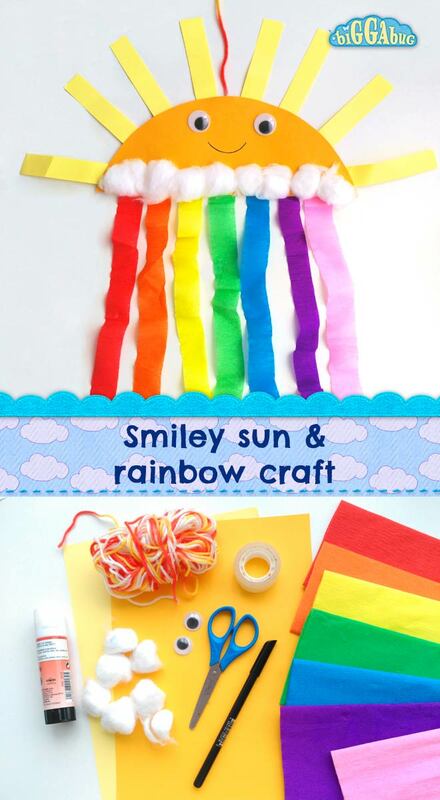 Stick cotton balls onto the tops of the streamers to make the clouds. 7. Draw eyes, or stick on googly ones. Draw a mouth. 8. Turn over and tape a piece of wool or string to the back for hanging. Precut sunrays and streamers beforehand. Make things even more interactive by dividing the streamers by colour around the room and having the children choose one from each pile. When sticking the cotton balls, be sure to explain that they should put the glue on the paper. In my experience, most kids will try to put the glue on the cotton wool, which leads to some very furry glue sticks! Watch our Colours of the Rainbow song!